Cloud Machine Manager gives you control over when your servers turn on or off. By automatically reacting to server demand or responding to predetermined busy or quiet periods, CMM works to your schedule, saving you money. Cloud Machine Manager saves money by avoiding charges for unused server time, whilst ensuring resources are available when users need them. 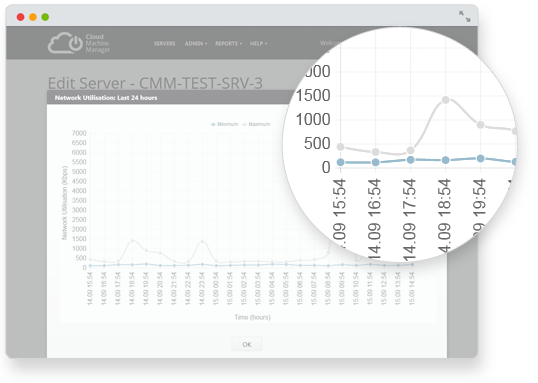 CMM automatically monitors workload so that unused servers can be identified and turned off. 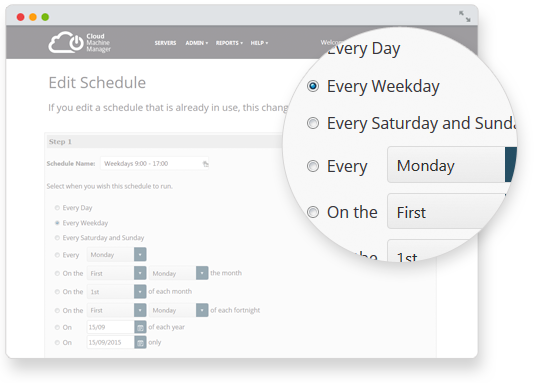 A powerful scheduling capability also ensures that servers are available during the periods they are needed. 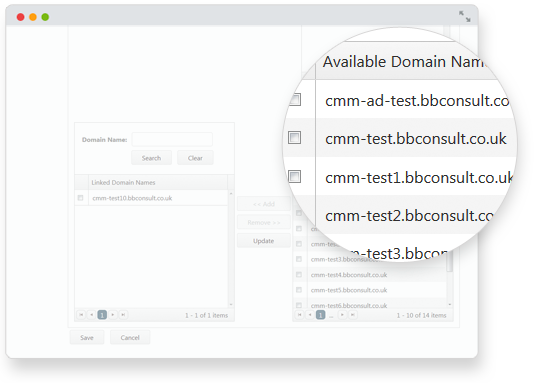 You can also link dependent servers to ensure CMM manages them together as one system. Some servers are only needed during working hours, but frequently they are left on 24×7 because of the administrative overhead of turning them on and off. 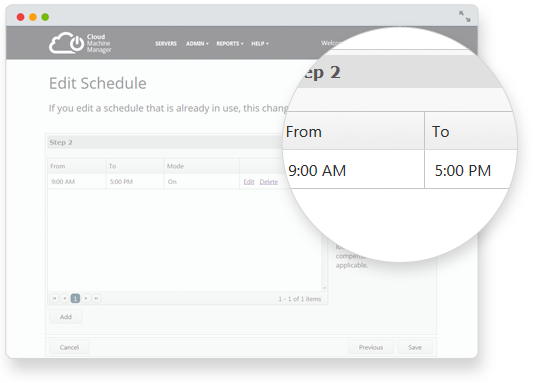 Cloud Machine Manager provides a flexible scheduling capability that automates the process of turning servers on and off. It’s good practice to turn off unused Amazon servers. What you don’t want is to hassle your I.T. department to get them up and running again, especially if you’re working late, or need them at unpredictable hours. Inevitable delay occurs between your request and their implementation. Cloud Machine Manager perfectly solves this problem by allowing users to start Amazon servers on-demand. There’s no need to access the AWS console – Cloud Machine Manager accesses the required server via HTTP, SSH or Terminal Services – so it’s switched on as soon as you go to use it. In addition, there’s also ‘CMMStarter’, a handy Mobile App that can be used to start and stop servers on-demand. Get real-time on-demand control of when Amazon EC2 servers are switched ON and OFF with the CMM Desktop Starter App for Windows, and the Mobile Starter App for smartphones (both iOS and Android devices). Whether you’re on the move, working outside of office hours, or even in a different time zone, the Starter App can quickly start your configured servers in CMM from anywhere with a press of a button. So setting you free to access your servers whenever you need them. Simple! AWS scales with demand and so does Cloud Machine Manager. 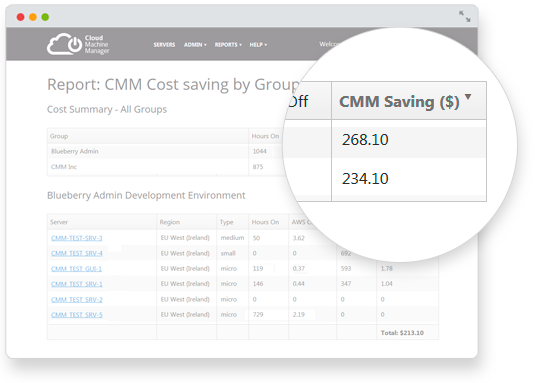 As you add more devices and your costs goes up, Cloud Machine Manager will continue to manage your system, providing tight control to eliminate wasted server time. No hidden costs, just a fixed monthly fee per server. Whether you’re a start-up with 10 servers or a multinational corporation with 1000s, Cloud Machine Manager will save you money from your first monthly bill. Benefit directly from the savings made by Cloud Machine Manager without having to invest additional time or manpower to manage the system. A powerful and intuitive Web User Interface and full integration with the Amazon API allows the system administrator to efficiently deploy and manage Cloud Machine Manager across large numbers of servers without compromising on flexibility. Maximise your potential savings regardless of what version of Windows or Linux you are running. Cloud Machine Manager is cross-platform, taking advantage of the potential savings across your Amazon server estate. There’s no additional software to install on your servers since management is via the Amazon API.